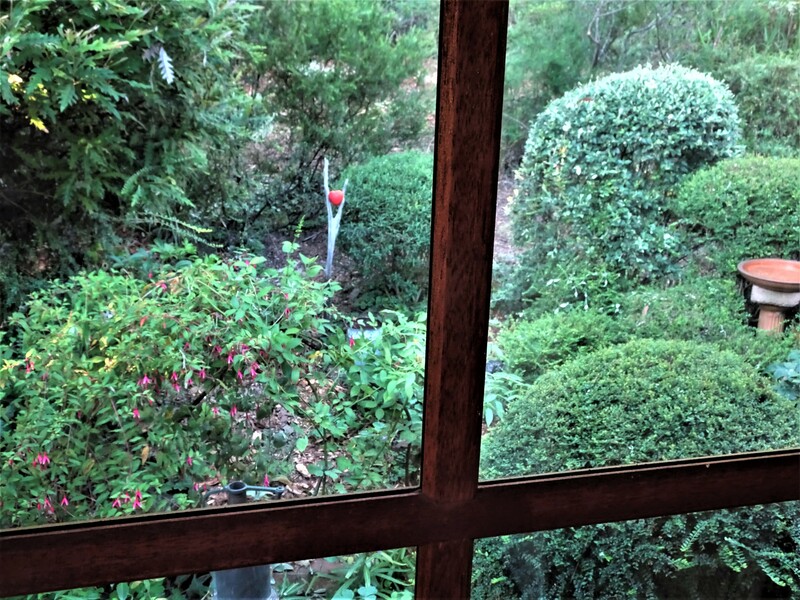 A Valentine card from the garden. 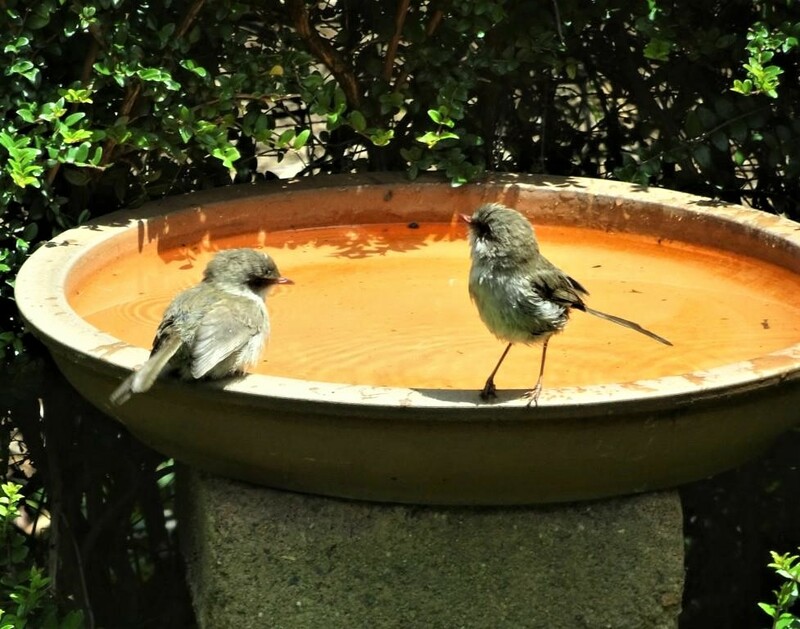 I was inspired by watching birds land on the rustic handle of a fork as they flitted back and forth from a shallow birdbath. 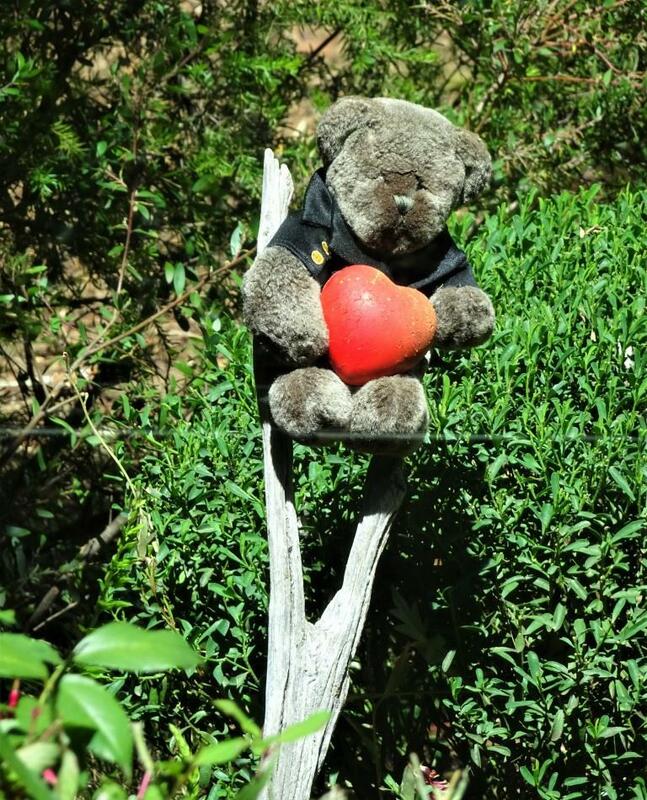 I found a red rubber ‘heart’, set it up…… and hoped for the best. I could actually keep watch from the comfort of my bed, camera at the ready. Keeping watch from my bed, cup of tea in hand. 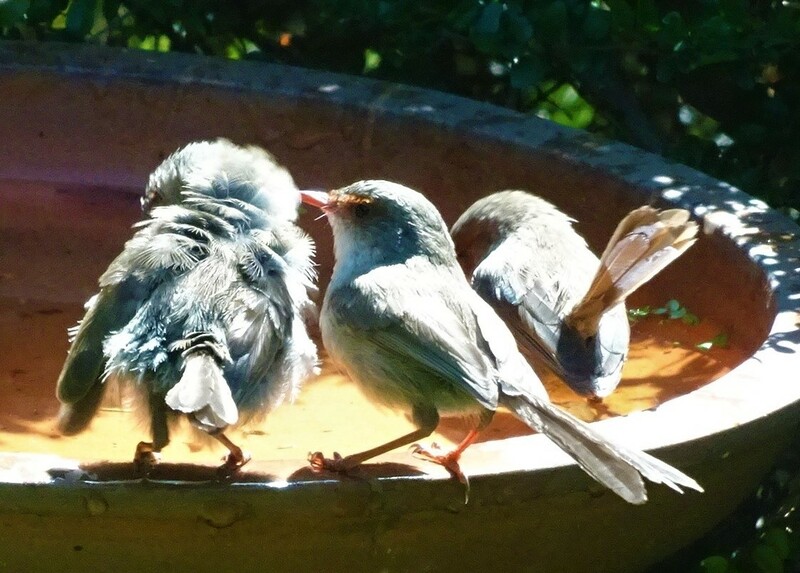 There have been plenty of little wrens using the bath. One of my cheeky ‘friends’ could not resist the urge to have a bit of fun at my expense. He posted this on Facebook, asking if I was keeping a close eye on things. Oh yes, very funny, Mike. 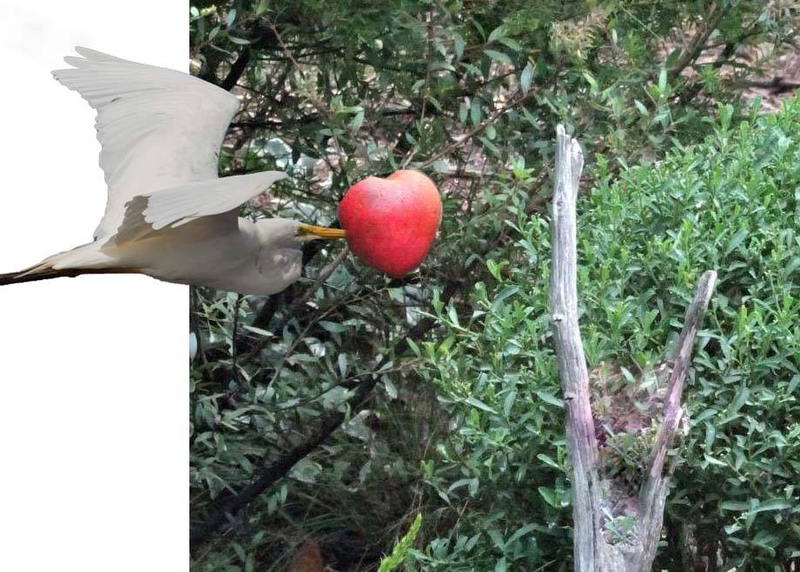 A silly nephew of mine said the heart looked more like an apple, and was I eventually going shoot it off Rob’s head? Good grief, unromantic nincompoops! Anyway, a few day later I heard lots of chirping and sure enough there were little birds everywhere, fantails, scrub wrens and thornbills. Then finally…success! First visitor on the Valentine post. 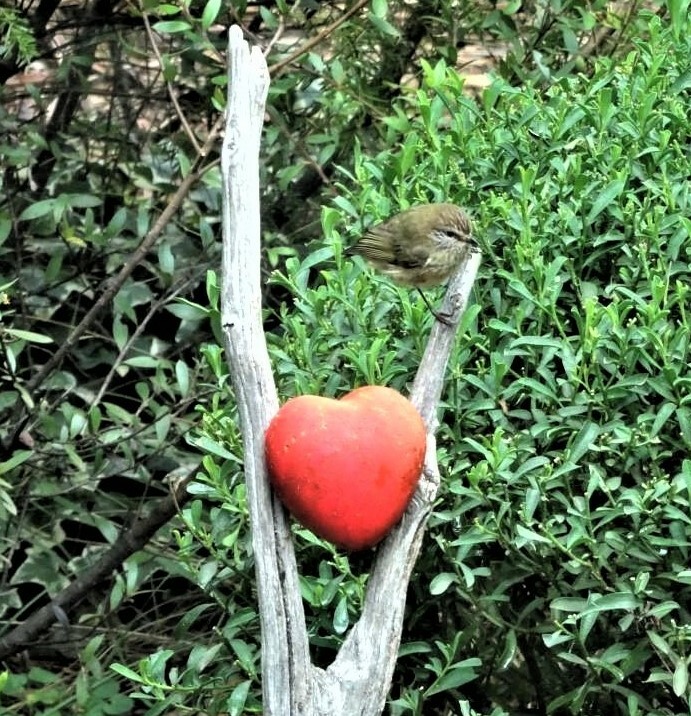 I was delighted with the thornbill, they are such cute little characters. 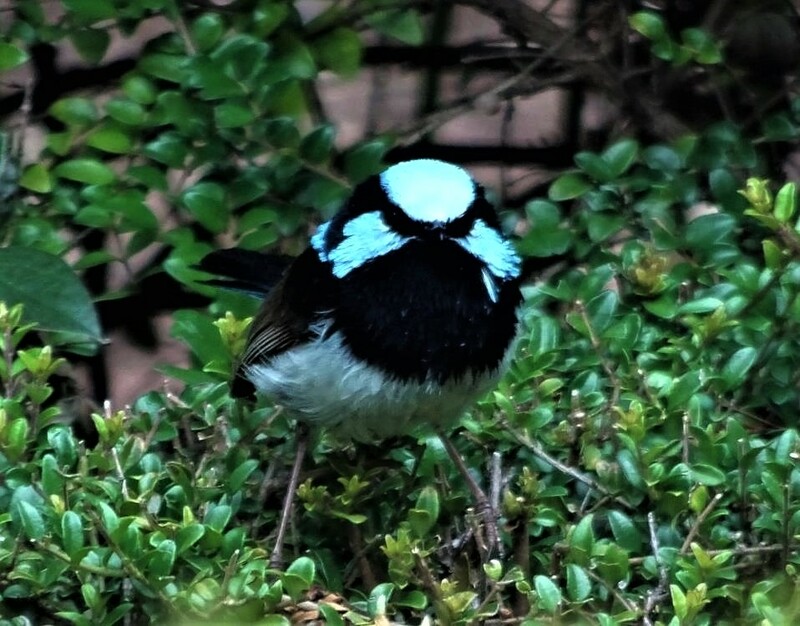 I should have been satisfied, but a rather crabby male blue wren was teasing me. Stop spying on me, Pauline! Finally, joy of joys, he alighted; pausing just long enough for me to capture him. Perfect! The bluebird of happiness. 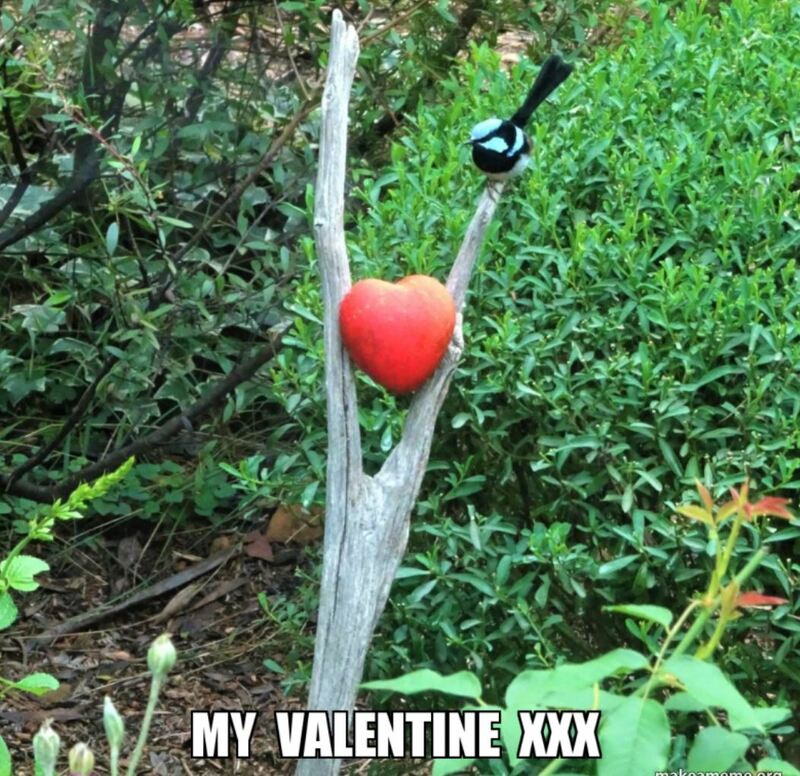 HAPPY VALENTINE’S DAY MY FELLOW GARDENERS AND BIRD LOVERS! So adorable! That’s such a fun idea – I’m glad the birds played along. Thanks Katie. I have them well trained (not!) A lot of Valentine’s Day luck involved. 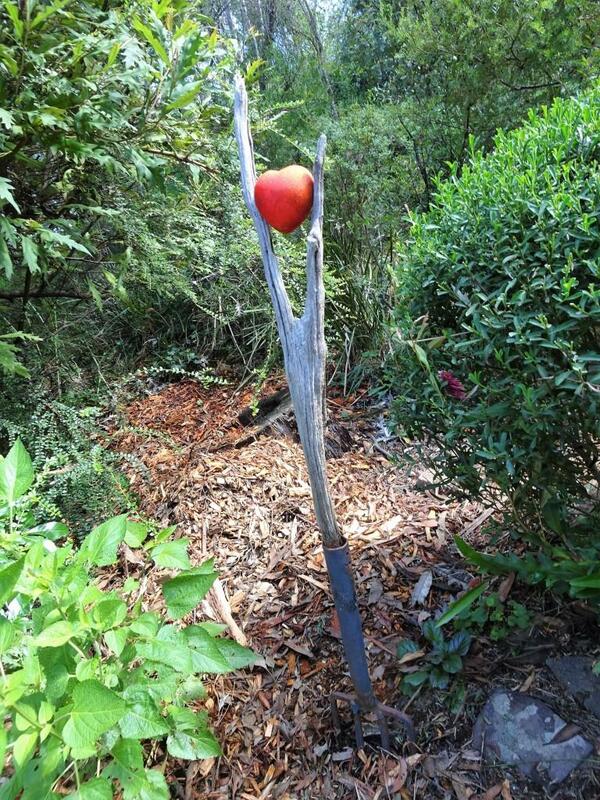 Love the idea of the heart in the fork of the branch and so did all your garden friends. Thanks June. We all have a lot of fun in this garden!